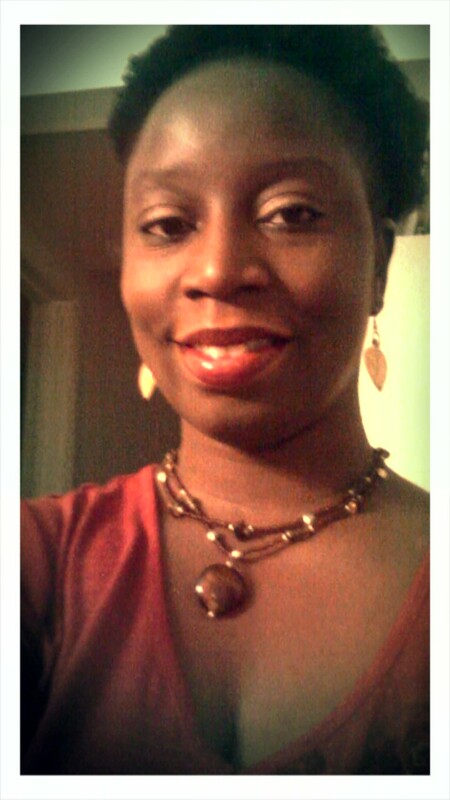 Shawntay Stocks is a doctoral student in UMBC’s Language, Literacy & Culture program. I have cousins and friends who I’ve seen harassed simply by walking or driving as a Black male in Baltimore. The conversation that some of my family and friends have to have about raising a Black male child is not fair. They have to prepare Black males for how society portrays them, and teach them how to “act” so that people don’t hurt them out of ignorance and fear. We have to COUNTER the story of the Black male as a dangerous criminal! 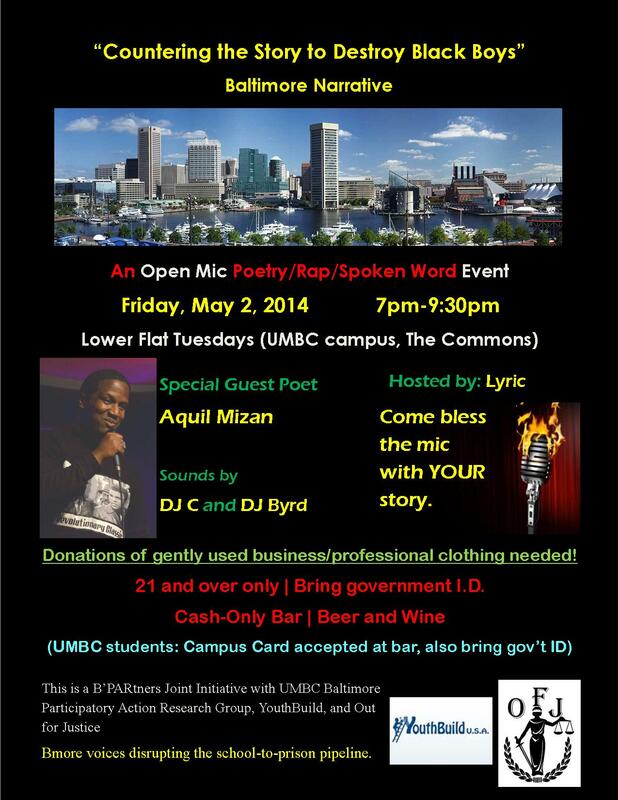 B’PAR (Baltimore Participatory Action Research), a UMBC graduate student organization, is hosting a “Countering the Story to Destroy Black Boys” Open Mic Night this Friday, May 2, 2014, from 7:00 p.m. to 9:30 p.m. (Lower Flat Tuesdays, The Commons, UMBC campus). Join as we listen to counter stories told by poets and other performers regarding Black males locally and nationally. Through poetry, music and rap, we will investigate the school to prison pipeline with a specific focus on the Baltimore narrative. Let’s disrupt the criminalized image of Black males! Additionally, we will be collecting gently used professional clothes for two community partners, Youth Build and Out for Justice, supporting individuals in their job search. If you are interested in sharing your narrative on the mic or donating professional clothes, please send me an email. Admission to this event is FREE, but you must be at least 21 years old and have your government ID. I’m looking forward to seeing you there!